East Timor Law and Justice Bulletin: Timor-Leste's Veterans' Pension Scheme: Who are the Beneficiaries and who is missing out? Timor-Leste's Veterans' Pension Scheme: Who are the Beneficiaries and who is missing out? 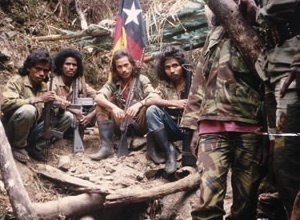 Since the security crisis of 2006–07, the East Timorese government has increasingly relied upon cash payment schemes to mitigate further conflict and to provide a form of social security. A series of schemes have provided payments to different groups, including: people displaced by the crisis, the military officers that helped inflame the crisis, the elderly and disabled, and female-headed households with school-aged children. By far the most significant — and expensive — scheme provides pensions to veterans of the resistance struggle against the Indonesian occupation. This paper highlights who is benefiting from the veterans’ pension scheme and who is missing out, and examines some of the potential long-term ramifications.